Directors and officers of an association are volunteers with enormous responsibilities, who put in countless hours to better their communities. Though directors and officers are appreciated by most of the community, they are sometimes blamed for their decisions and challenged in court. However, in the event that there is a challenge (a threatened or actual lawsuit), the law affords some protections to directors and officers. 6. The association maintained and had in effect an insurance policy at the time the act or omission occurred and at the time the claim was made, which meets the minimum requirements set forth in Civil Code Section 1365.7(a)(4). What is D&O insurance? Sometimes, however, the board will get sued, not for personal injury or property damage, but because an owner wants to second guess the board’s decision, claim the board’s actions (or inactions) have cost the association money, or claim the board’s actions have led to a diminution or lessening of the value of their property. To avoid incurring legal bills in defending their decisions and to protect the dedicated directors and officers, it is important that community associations procure Directors & Officers (“D&O”) insurance. D&O insurance protects, at a minimum, the directors and officers of the association in the event that they are sued personally for claims that are not personal injury or property damage related. Depending on the association’s policy (and they are different, so discuss this with your insurance professional), it may also protect committee members, employees, and volunteers. Alternatively, it can expressly exclude certain people. • Defamation or slander of an owner; and • Failure to manage the association’s finances. When does D&O insurance take effect? Some policies are comprehensive and will pay to defend directors and officers in any claim filed against them as well as cover any judgment entered against them. However, sometimes the association may be required to pay for its own defense and upon an entered judgment, seek reimbursement from its insurance provider. Additionally, it is important to check whether the association’s policy covers pre-litigation matters, such as settlements entered into before the complaint is filed in the superior court. Finally, it is important to note whether the policy covers criminal complaints (e.g., assault, battery, etc. ), fair housing discrimination complaints, and/or administrative complaints (e.g., employment related claims). Some insurance policies require that the association notify the insurance carrier as soon as the association has notice of the claim, regardless of when the insurance takes effect. Such notice can be well before a complaint is filed in the superior court. The failure to timely make the claim could preclude coverage. What types of acts does D&O insurance cover? Some policies cover claims regarding a breach of fiduciary duty but will not cover fraudulent acts or the acts of directors who knowingly violate the association’s governing documents or state law. Generally stated, a D&O policy will not cover (in most cases) property damage or personal injury claims, and will generally cover other claims made against the board, so the board has to take action herein. Every policy is different, and it is important to know the bounds of your association’s coverage. How can management protect directors and officers? 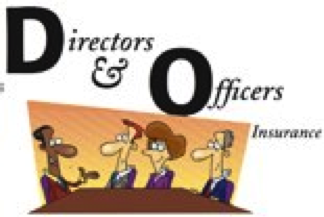 To avoid lawsuits against directors and officers, management should educate directors and officers about the association’s D&O policy, what it covers (and does not cover) and should remind them to act within their established authority, to not act on behalf of the association outside of a noticed board or member meeting, and to avoid placing themselves in a position in which their personal interests conflict with those of the association. • When must the board notify the D&O insurance carrier of a potential claim? • When does the D&O insurance take effect? • What types of claims are expressly included? • What types of claims are expressly excluded? • Is the policy a reimbursement policy that requires the association to front the costs of our defense? And if there was any question, almost all associations’ governing documents and the Corporations Code require the association to indemnify and defend a board member if and when he or she is sued for actions taken as a board member. We believe that a well-educated and informed board can avoid claims against the directors and officers to a certain extent. However, there is always a chance that a disgruntled homeowner will sue the directors and officers anyway. It is necessary for associations to maintain a D&O policy and understand what it does and does not cover. No one should sit on a community association board without confirming that the Association carries a comprehensive D&O policy. Looking for additional information regarding D&O insurance policies? Follow this link to an article by Tim Cline, a California-based community association insurance broker and expert, that addresses the types of coverage that are available and the fact that not all D&O policies are alike. And follow this link to an article by Joel Meskin, an attorney and insurance expert with McGowan Insurace, entitled: Cover Your Assets; When Are You Not Covered by Your D&O Policy? And of course, you can also contact our office regarding D&O insurance and claims. David Swedelson is a California condo lawyer and HOA attorney. He can be contacted at dcs@sghoalaw.com.